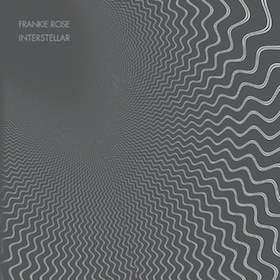 When Frankie Rose revealed Interstellar’s incredibly catchy first single, “Know Me,” she tapped in to a familiar place, and I’m not just talking about the ease in which she weaves a tapestry of colors into a fully realized dream-pop single worthy of 4AD comparisons. There’s an intimacy and expansiveness in the song that recalls Lush’s shy stepping-stones; like a cross between “Breeze”, “Sunbathing” and pretty much all of the band’s pre-Spooky material. “Know Me” only hints at what Interstellar has in store for listeners, but I wouldn’t call Rose a tease. This is a girl you take home to meet the family after at least two full-album spins and a full day of running errands for the sake of hanging out with each other, at least that’s what the dream pop kids used to do. Rose not only treats us to a nostalgic trip, there are layers of vocals smothered across multiple tracks within one song, synths that stretch like taffy but melt like ice cream and sparkling guitar leads that are reminiscent of Will Sergeant’s brilliant picking style and sound. The entire album is magnificent to say the least. Once you come back down to Earth you’ll begin to hear love stories that are tragic and personal. Maybe you’re projecting, but you always get the sense that she already moved on once the pen left the paper’s surface, so you follow her lead. Interstellar is a record that feels so elegant, so physical and so real. “Daylight Sky” and “Gospel/Grace” open with gorgeous guitar leads. The choruses are quick bursts of energy that give you little warning but signify a triumphant and celebratory moment, even though my gut tells me there’s travesty or a process of letting go deeply rooted within the entire album. “Had We Had It” is the sound of being disappointed but still stuck in love as Rose sings, “Could we, we had it all”, then rearranges a few of the words in a repetitive fashion during the chorus. All of a sudden she’s free again. Layers upon layers of phrases and verses serve as the key ingredient, and are the most resonating feature on certain tracks. They accentuate every guitar line and gentle wash of warm synth, or they become simply overwhelming with harmonies that blur into the overall mix. It’s a gigantic sound that overshadows the instruments at times. This is especially memorable on the more delicate tracks “Pair of Wings”, “Apples for the Sun”, and the angelic closer, “The Fall.” You’ll want these songs to go one forever. Great comments on this album.. at first listen I felt so carried away that I didn’t notice the lyrics! Definitely good for many listens; I like the layers.